Mercedes-Benz enters the electric era with the EQC electric crossover SUV. Electric vehicle development has hit a recent high with the release of numerous electric vehicles like the Jaguar i-Pace and of course, the entire Tesla line-up. 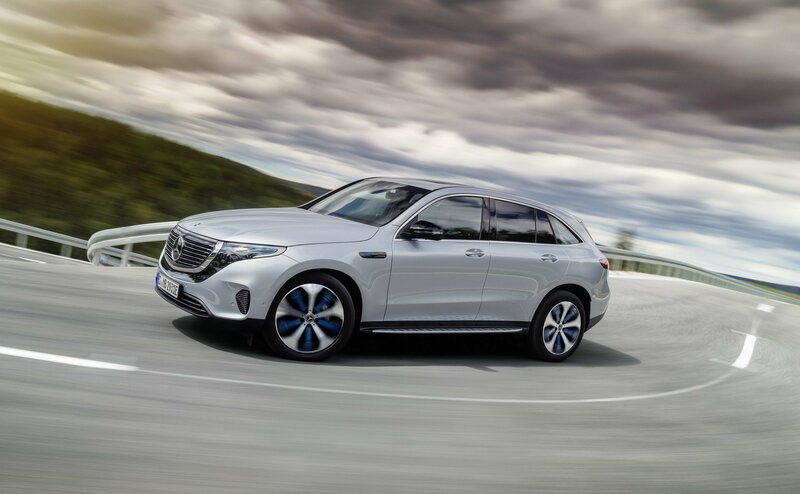 Not letting themselves feel left out, Mercedes-Benz has released the all-new, highly anticipated EQC electric crossover SUV, the brand’s first electric vehicle. From the outside, the Mercedes-Benz EQC may be dismissed by some people as merely the electric version of the Mercedes-Benz GLC compact crossover, and while they share some design similarities, the EQC is actually a completely different car. The EQC rides on a completely new and different platform from the GLC, and this platform will be used for the brand’s future electric vehicles. The design of the EQC shares many design cues from the Generation EQ Concept that previewed it, namely the car’s shape and fascia. The front fascia features a large black panel below the grille and headlamps. Providing illumination on the road are fiber optic lights that are connected with the LED headlights, giving it a distinctive look at night. At the back, the roof features a sloping design creating a dynamic profile for the EQC. Along with the deliberate omission of the roof rails, the EQC’s profile has been optimized to provide excellent aerodynamics for improved range. The tail lights, meanwhile, run along the width of the EQC, providing a distinct look at night. 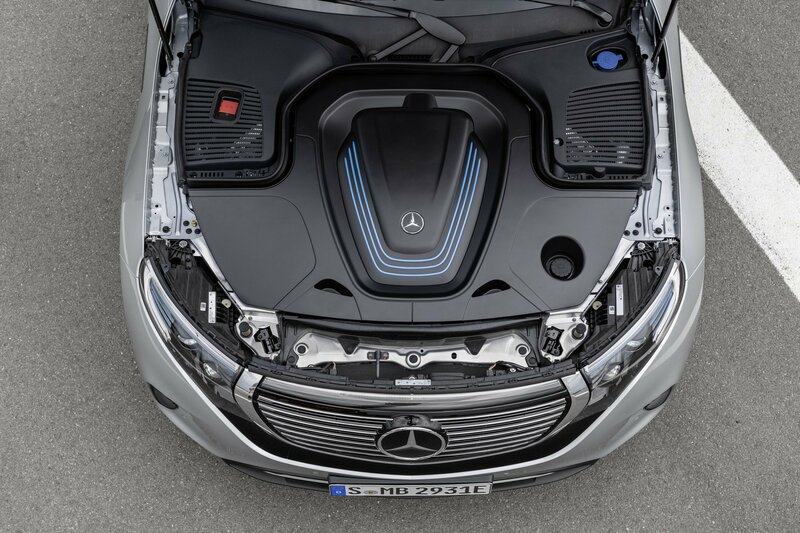 The interior of the EQC features what Mercedes says is an “avant-garde electro-look.” For instance, the ribbed edge of the instrument panel that wraps around the interior resembles “the cooling ribs of a hi-fi amplifier”, while the main attraction in the interior are the pair of high-resolution 10.25-inch screens for the gauges and the MBUX infotainment system. The LED interior ambient lights mimic the fiber optic lighting elements from the headlights, giving the EQC a futuristic look. Powering the EQC are a pair of electric motors powering the front and rear wheels, making this an all-wheel drive vehicle. Combined output is at 402 hp and 765 Nm of torque, letting the EQC accelerate from 0-100 kph in 5.1 seconds, all the way to a 180 kph top speed. An 80 kWh lithium-ion battery pack enables the EQC to travel up to 450 km in a full charge. This has been verified using the New European Driving Cycle (NEDC), which replicates real world driving much better than previous testing methods. While the EQC is all-wheel drive, the electric motors have been tuned to be front-wheel drive on light to medium loads for maximum range. Mercedes-Benz will produces the EQC in Bremen, Germany and the Beijing Benz Automotive Plant in China. Pricing has not yet been announced, and in which countries will it go on sale first.